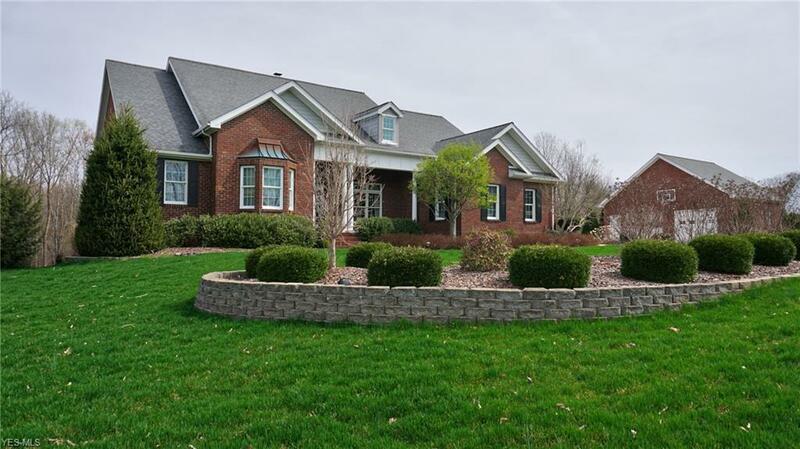 Beautifully decorated home in prestigious Cobblepond Subdivision. Immaculate 5 bedrooms, 3 1/2 bath brick traditional ranch, open floor plan. Cherry kitchen hardwood floors, quality built, first floor laundry, screened in front porch, situated on a double lot, 2 car attached garage, large brick detached garage, concrete driveway, professionally landscaped. All public utilities, completely finished lower level walkout basement with wet bar.